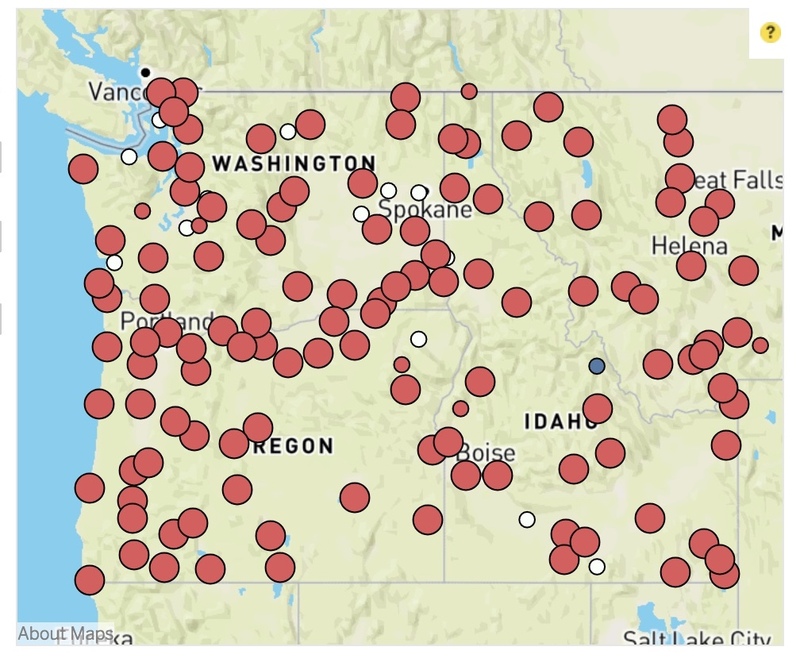 This tool is designed to help tribes in the Pacific Northwest and Great Basin, U.S.A, understand how the climate is expected to change in places that they care about. 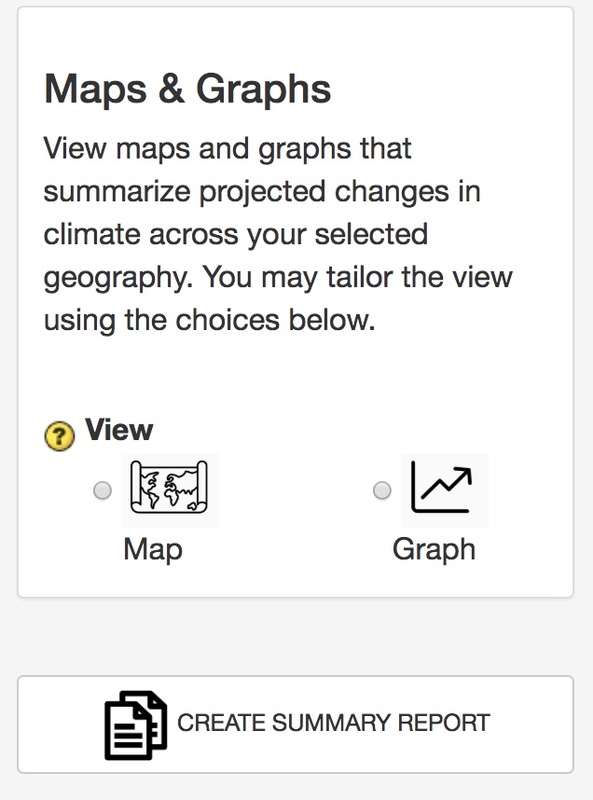 It provides maps, graphs, tables and descriptions of projected changes. 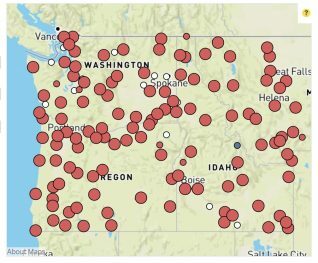 The areas of interest (e.g., ceded areas, watersheds) included in this tool reflect results of engagement with Northwest and Great Basin tribes, as well as tribally-relevant areas in the public domain (e.g., reservations). If there is an area of interest for your tribe that you would like removed, revised or added to the tool, please contact Meade Krosby. For many Pacific Northwest rivers and streams, climate change is projected to result in higher peak flows. Recent work by the Washington Department of Fish and Wildlife (WDFW) has estimated the width that culverts need to be to accommodate anticipated changes in streamflow. 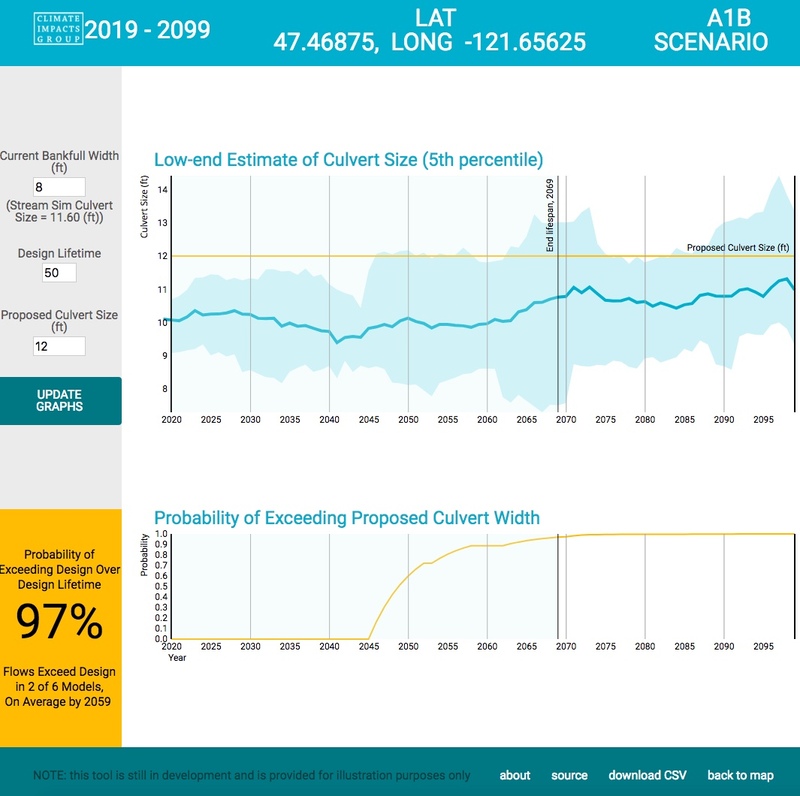 This culvert design tool is aims to help engineers, managers, regulators and other interested parties explore the impacts of climate change on culvert design and fish passage. You can also learn more about this project on the Climate Robust Culvert Design project page. Please contact Guillaume Mauger with questions. 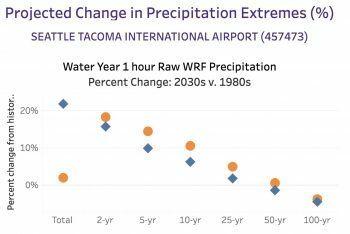 What are the trends in temperature, precipitation and snow water equivalent in Northwest? 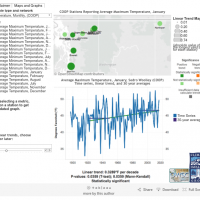 This tool allows users to visualize monthly, seasonal or annual trends in maximum, average or minimum temperature, total precipitation and first of the month snow water equivalent for stations across the Pacific Northwest (WA, OR, ID, and western MT). 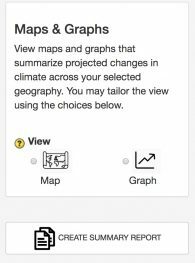 The tool was developed in collaboration with the Office of the Washington State Climatologist. How is climate projected to change in the Northwest? This tool allows users to graphically visualize projected changes in temperature and precipitation for two future time periods in three regions in the Pacific Northwest. How will heavy rains change in western Washington? 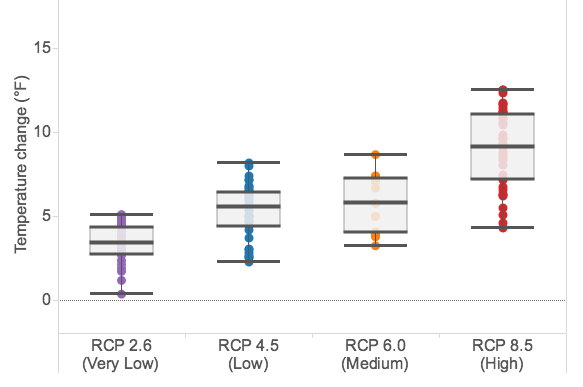 The visualization allows users to browse changes in precipitation for two new regional climate model simulations, described on this page shows projected changes in precipitation for two future time periods in three regions in the Pacific Northwest. What changes have we seen so far in the Northwest? 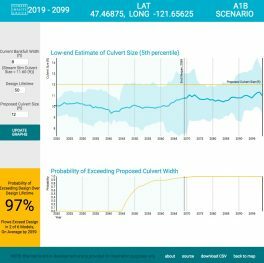 This tool shows projected changes in temperature, precipitation, snow, and streamflow for a selection of sites and metrics that are of interest to Seattle City Light. 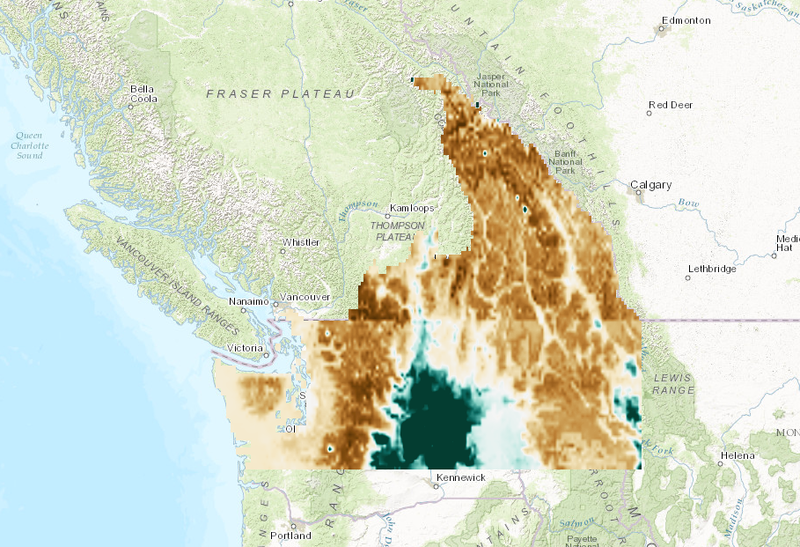 How will climate change impact wildlife habitat connectivity in the Washington-British Columbia transboundary region? This gallery includes data gathered or created as part of this project, as well as accompanying reports describing key findings for 13 case studies (including 11 species, a vegetation system, and a region). As part of the Icicle Work Group, a diverse set of stakeholders has been working to identify collaborative solutions to water management in Icicle Creek. Given the large changes in climate and hydrology anticipated in the coming decades, such plans will need to account for the effects of climate change if they are going to be robust. 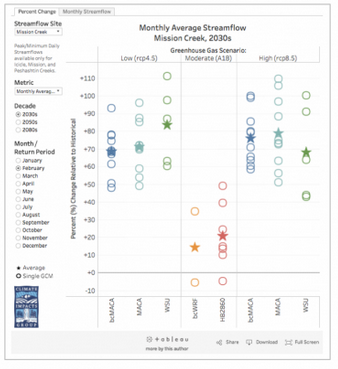 This visualization tool shows the projected changes in streamflow for each calendar month as well as for the daily extremes.